This set is probably the biggest set I scored in the bulk lot that I’ve almost finished sorting through. When I saw that it had Power Functions included, I was over the moon! I love Technic sets, and watching them grow on the build table as I put them together is very exciting. 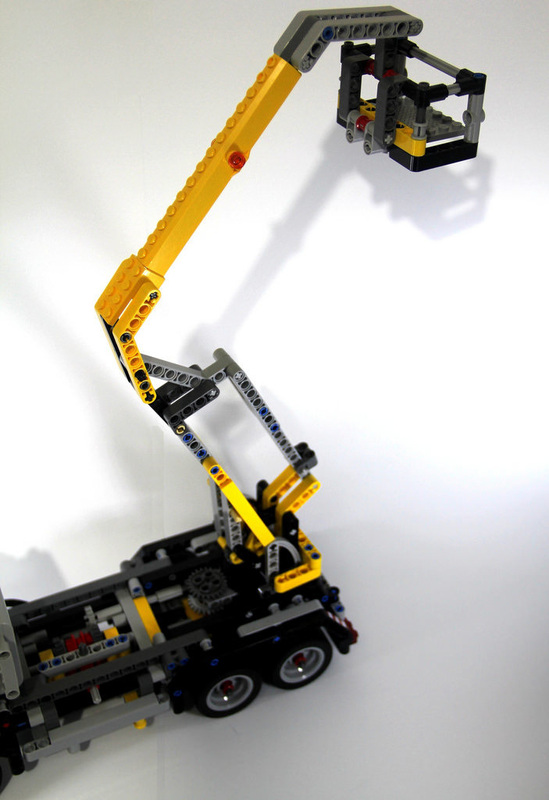 This set has a big yellow cherry picker boom that extends and rotates. 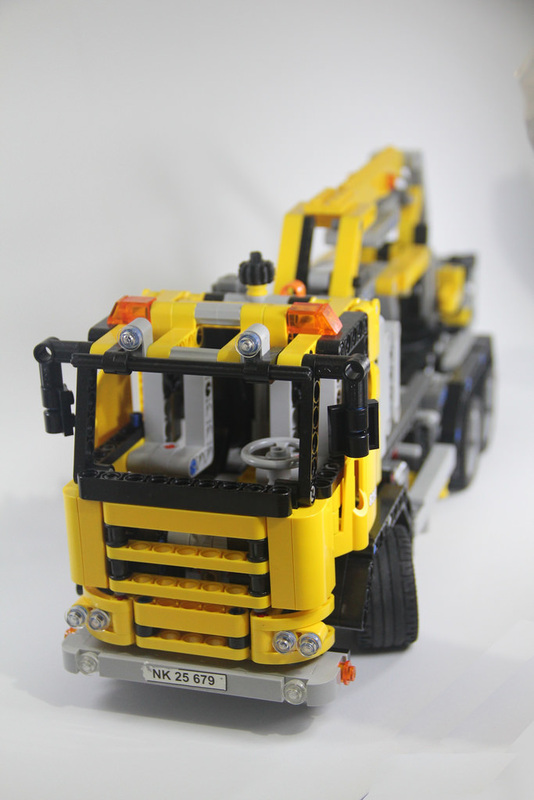 There is also a secondary model in a big dump truck, however, I only built the primary model. This set has a great selection of elements included. 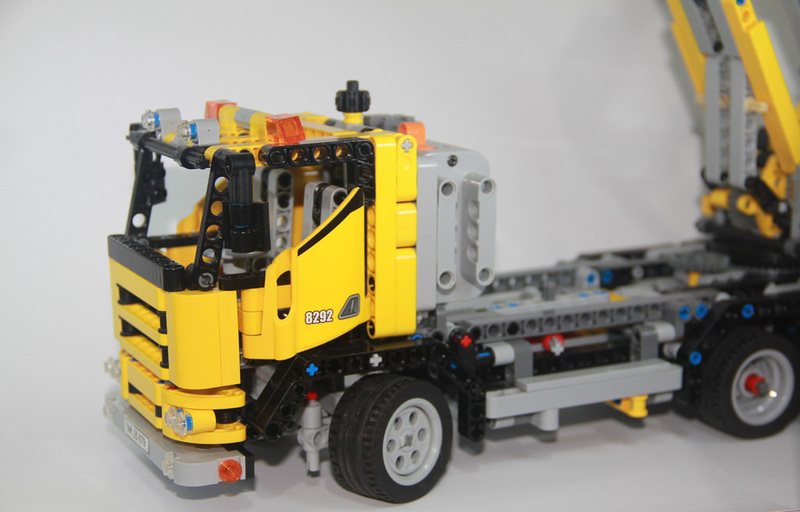 Technic sets can tend to be a little samey in my opinion, especially when it comes to vehicles, but this one has a good mixture. Firstly, and obviously, there are Power Functions in a motor and battery box. You can never have too many of these, as they are so versatile, so having them included was a massive bonus. There is a great selection of gears and cogs, as well as the large turntable and driving ring. These driving rings can tend to be a little pricey on the secondary markets. I like the large yellow boom extension element, and the good mix of yellows, greys and blacks are quite striking. Finally, there are the six tyres. These are my favourite size tyres, as they are at a good scale, plus the tread and rims are quite pleasing to the eye. 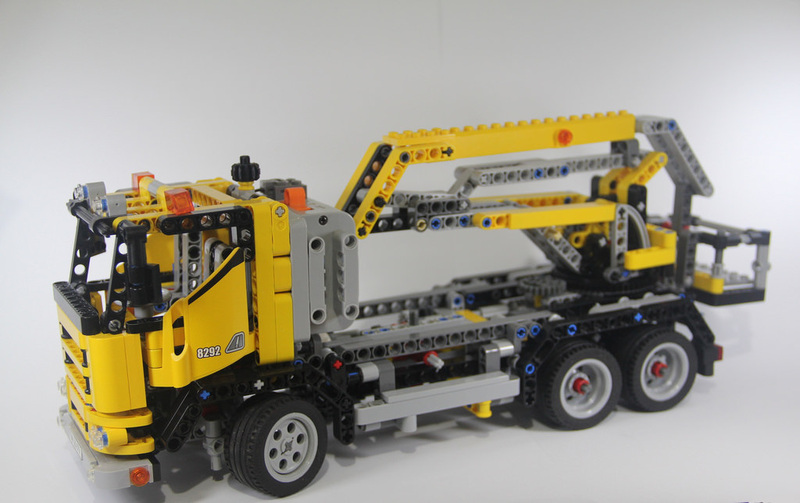 This set includes a few functions, with the most obvious being the cherry picker boom being able to go up and down and rotate with the use of a motor and transmission, but it doesn’t stop there. There’s front end steering with a steering dial at the top of the cab, and opening doors. This vehicle is quite fun to drive around the living room floor, and carrying things in the cherry picker. It would be a fun one for the kids. 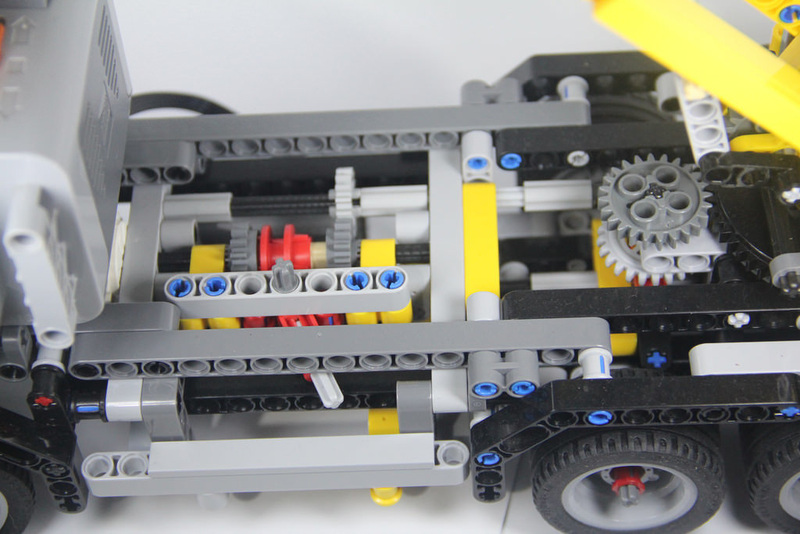 The build experience starts with the usual for a Technic vehicle, in the chassis. It’s nice and strong, and a good size for the overall machine. It’s a pretty standard Technic build for the most part. The interesting section comes in the form of the cherry picker boom. Once that’s on, it’s a little more interesting, as well as the Power Functions. The rest is pretty standard stuff. I quite like the look of this set. It’s simple, but it doesn’t need to be anything fancy. The construction yellow is perfect, and it has a good sized bucket on the cherry picker boom. I can’t think of anything it’s missing, but nothing particularly stands out as being amazing. It’s just a good all rounder. Secondary markets are the only option as this is well and truly retired, so you can expect to pay at least AUD$200 for a new set, and just over $100 for a used one. For a large collection of cogs, nice sized wheels, and some good beams and more, it’s a little more pricey than I would have expected, but I think this is due to the Power Functions being included in the set. It is a good assortment of things though, so it’s worth it for a used set, however, I’m not sure I’d be willing to part with that much money for a BNIB set. While there’s plenty of large scale Technic trucks on the market, there isn’t a large scale cherry picker. 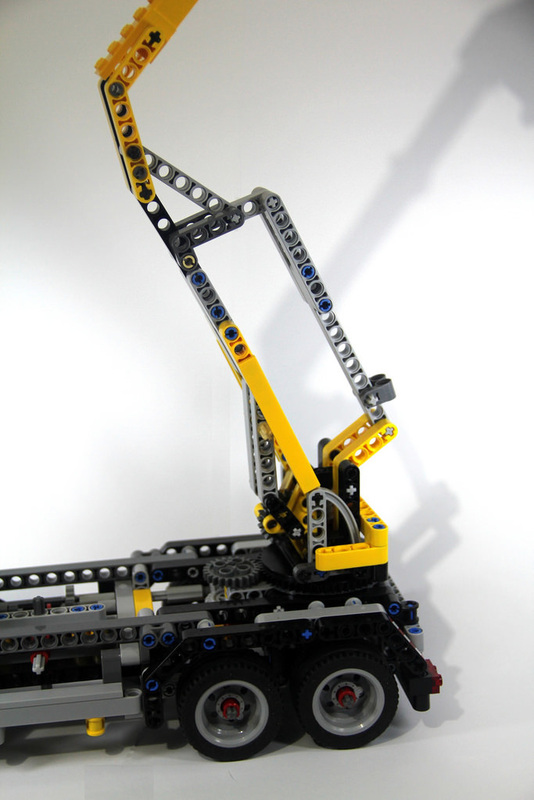 The only other set that LEGO has done is 42031: Cherry Picker, and it’s very small. The inclusion of Power Functions boosts the collectibility rating up, however there’s not all that much else in there that would boost it further. This will be a very individual decision. Next week is a set very special to me. It’s my white whale set – the one that got away. I got my hands on it last week, and I’m so happy I did! It’s 10226: Sopwith Camel. There’s also some pretty great sets coming up. It should be fun!